Like this quote from Snow out of Season? Share it on Twitter, Facebook, or Instagram! What’s your favorite quote from Snow out of Season? Share it in the comments below! Want to learn more about this award-winning women’s fiction novel? Read the synopsis and the first chapter here! 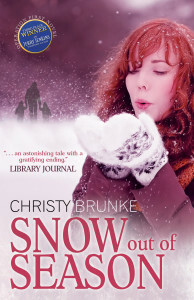 Did you love Snow out of Season or are you excited to read it? Share this image on Facebook, Instagram, or Pinterest to help spread the word!